A topic close to my heart, Narrative gaming has of course always been there, through previous editions it has been lost in the aether but has made a huge come back in Age of Sigmar. Games Workshop have really given us an infinite possibility of playing narrative games, campaigns and events and although the priority lately has been on Matched Play, I can really see the more open side of the game making a return. In a nutshell, narrative gaming is playing a game that unfolds to tell a story. How this done is completely down to the 2 people playing. 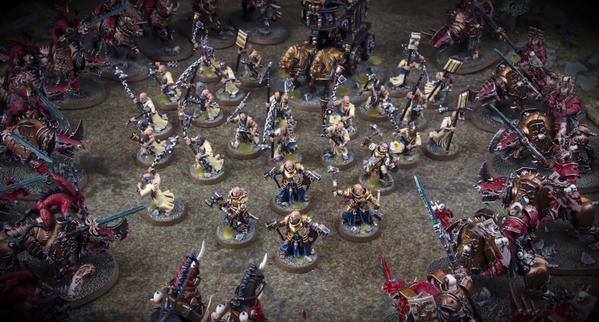 From the beginning Games Workshop made it clear that Narrative and Open play was something they wanted to reintroduce, they made a huge leap of faith and released the game with no point values, changed the basing to either not matter, or to base on rounds. This opened Warhammer up to something people had probably not experienced unless they came from a Roleplaying background, or are old enough to remember 2nd edition. 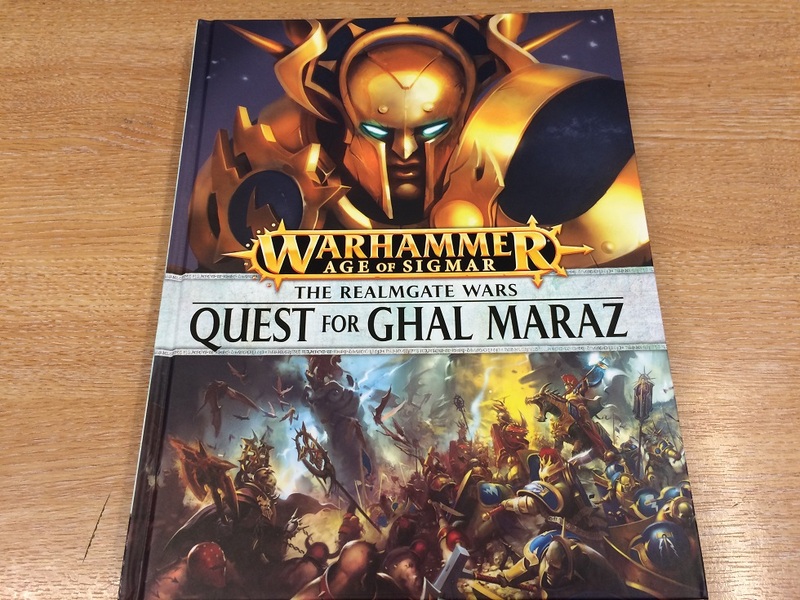 With the release of Age of Sigmar also came the campaign books. 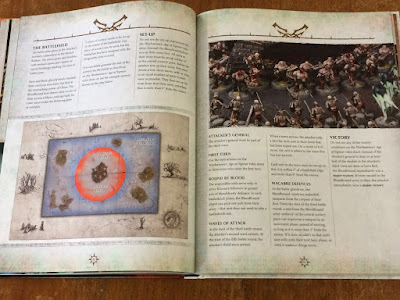 Huge (but pricey) books filled with Battleplans (not a new thing, but something that would become prevalent), Battalions - these are ways in building forces to fit a certain criteria and for doing so gave you extra bonuses to your armies, and also overflowing with progressing background. This was, in my opinion a genius idea. Some, well a lot, of people did not like this new direction but for me it freed me. Now, a small disclaimer, I was not a tournament goer, I was very much garage gamer and played previous editions mostly against my brother. We were both very casual and rarely played with points in 8th or before. 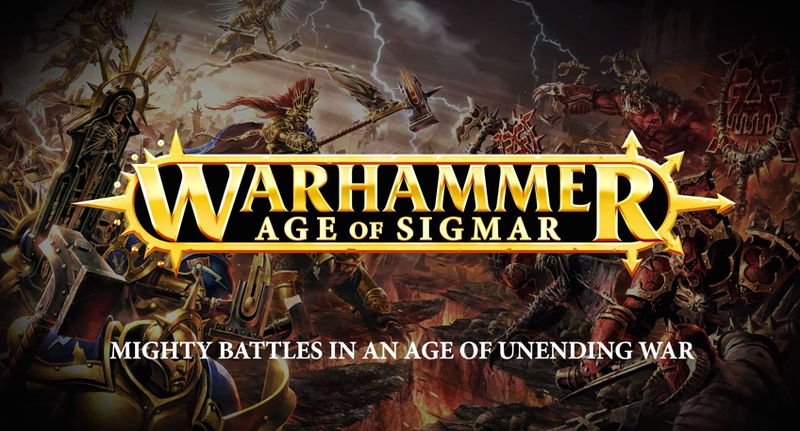 With Age of Sigmar, we were free to field what we want with a core of rules that were simply and most of the time brutal on the battlefield. I was so pumped, I started this blog to get my thoughts and logs down for my armies and warbands I was pumping out. 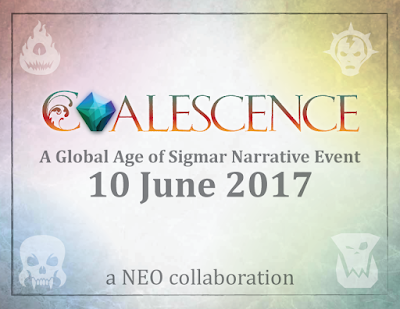 A NEO is a narrative event organiser, similar to a TO but more focused on creating Events rather than tournaments. It was a term I jokingly put out on Twitter around 6 months ago when I was preparing for Realm Hoppers as I did not want to call myself a TO. It was adopted by the community rapidly and now is a stuck term, which is awesome. 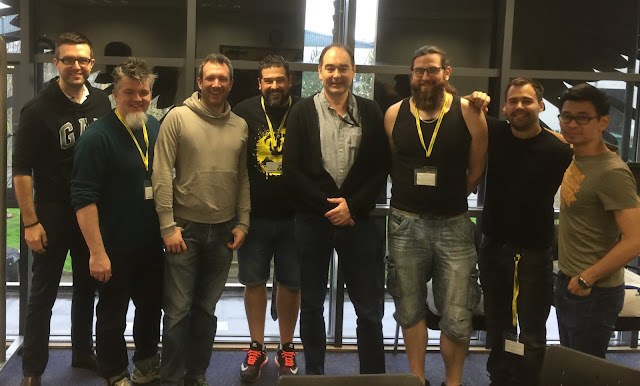 The first, in the UK, independent NEO team were the organisers of Realms at War, this along with its counterpart in America Holy Wars took an approach to gather like minded gamers to play a weekend of story building and campaigns for Age of Sigmar, Ming had also done this at the end of 8th at his Mingvitationals. More and more events are popping up now with a narrative feel and a lot of the 'proper tournaments' are also having some narrative feel overlaid on them. At the beginning of April 2017, a group of 6 of us in the UK were lucky enough to be invited up by Games Workshop to the Headquarters in Nottingham for 2 days to talk all things narrative and try new things for the future. 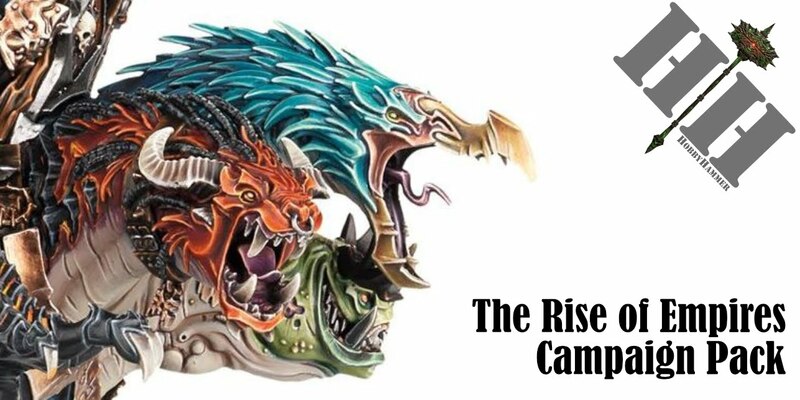 It really opened our eyes to how Games Workshop want to promote the game. 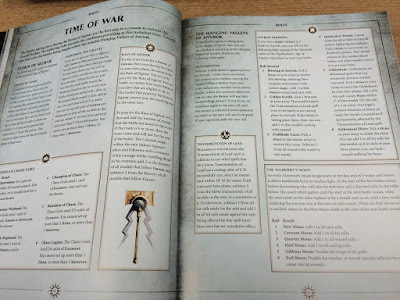 Although Matched Play is currently and probably always will be the default for AoS, narrative is slowly gaining speed, it is things like what Ming is doing for SCGT that could be the first step in more narrative play. The Narrative Hijack is a score sheet/ tick sheet where if you achieve certain objectives in your games, you tick a box. This is as simple as having your General achieving a certain feat or asking your opponent how his story has progressed. This is so open. If you want to start playing narrative, then begin by just naming you General and recording his feats in your games. Then move on to coming up with a backstory for the army and the game you are about to play. Use some of the resources in the Generals Handbook or Campaign Books to add layers onto you games, this could be adding a battalion into your army, or playing a more flexible, story based battleplan. This could be adding some Times of War rules to the games or using some Path to Glory tables to choose a warband. Maybe group some battle plans together with a mate and play a small campaign. Next you could introduce a more immersive map campaign system (see Generals Handbook) or even playing a Tree campaign in which the result of one battle determines the next battleplan. 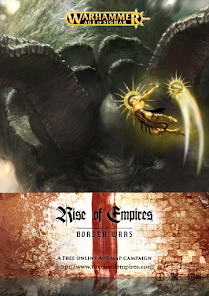 There are now 2 main independent full on Narrative Events in the UK, Realm at War in Cambridge (End of October) and Rise of Empires in Margate (February), the hope is for more to emerge. If you get the chance to either or both, do it! It is such a buzz of excitement seeing a story unfold over 1 or 2 days. 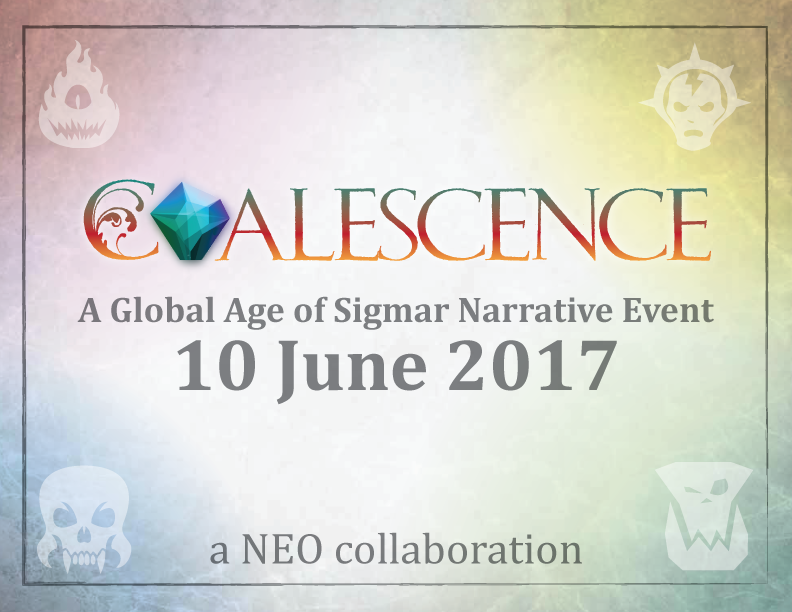 One great way to build the narrative in your scene is to join in on 10th June and either find or run a small narrative event in your area. If you have no idea what Coalescence is, see the blog here. In short, it is a global event that many NEO's around the world, new or veterans, will be running games from a single event pack created by a group of us. The scores in the games will effect an overall narrative for the day. 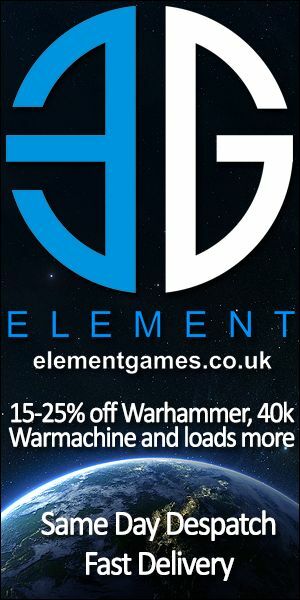 Games Workshop is also working hard to introduce more and more narrative ways of playing and the future is bright! How do you play narrative?